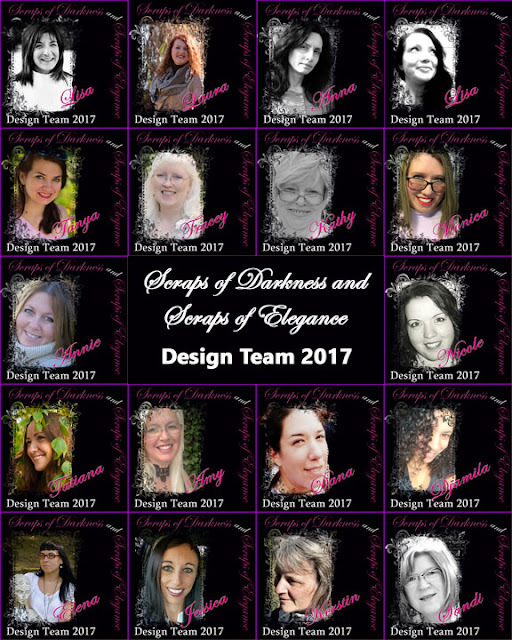 Angel Scraps: The new 2017 Scraps Of Darkness Design Team! The new 2017 Scraps Of Darkness Design Team! I am so excited to be returning as a design team member and social media director! I love this team and Melinda....it is my home! I am also very excited to be working with this group of fabulous and talented ladies!!! Looking forward to seeing their awesome work! Check back tomorrow for my first project with the 'Snow Angels' kit!